Death of Fr. Louis Eustace C.Ss.R., Thursday Nov. 30th, 2017. Fr. Louis Eustace, C.Ss.R. +Nov. 30, 2017, Dundalk, Ireland. We regret to announce that the death has occurred, on Thursday, November 30th, of Fr. Louis Eustace, Redemptorist, who passed away after more than three years in a Nursing Home, following a stroke. May he rest in peace. in Dundalk, Co. Louth, Ireland, since the 1980’s. He was the well-known preacher (and singer) at the weekly Novena to the Mother of Perpetual Help, which he conducted faithfully for many years, until his illness in 2014. Louis was born in Co. Longford, in NewtownCashel, on November 5th, 1935. He attended St. Clement’s College (then known as the Redemptorist College) for his second-level education. He then entered the Redemptorist Novitiate in Esker in 1953, was Professed 1954. He did his studies for the priesthood in Cluain Mhuire, Galway, where he was ordained a priest on January 21, 1962. 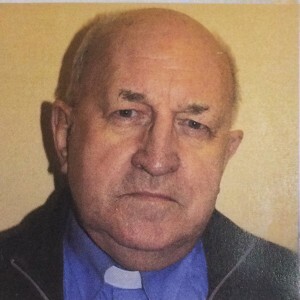 Soon he was sent with others to the Philippine Islands, where he ministered on Parish Missions and then in St. Clement’s College until about 1969, when he returned to Ireland. Fr. Louis was in the first group of Irish Redemptorists to go to the Diocese of Springfield Massachusetts in Autumn 1970. He ministered in the Parish of Our Lady of Hope, on what was known as ‘Hungry Hill’, for four years, in a parish that then consisted of very many Kerry people, especially from Dingle and Ballyferriter and parts West. (Others who travelled with him or after him included Fr. John V Corbett C.Ss.R. , Fr. Seán Horgan C.Ss.R., Fr. Séamus Devitt C.Ss.R., later Fr. John Moran C.Ss.R, Fr. Denis Canny C.Ss.R., Fr. Séan Bennett C.Ss.R., Fr. Jackie Whyte C.Ss.R.). Fr. Louis returned to Ireland about 1974, and was very involved in the Mother of Perpetual Help Solemn Novena Ministry, all over Ireland, for over ten years, along with the late Fr. Vincent Kavanagh and others. Since the mid-80’s, Fr. Louis had been a much-loved member of the Redemptorist Community and Parish in St. Joseph’s Dundalk. He was a man of great humour and wit, with always the kind heart for people. His Redemptorist confreres tell many stories about him and remember him with great affection. Those among whom he ministered have also many fond memories of him. Fr. Louis was predeceased by his brothers Andy and Kieran. He is deeply regretted by his loving sister Eithne Kane, brothers Des (Shannon) and Gerry (Birmingham), extended family, relatives, friends, Redemptorist Community and Confreres. His funeral took place on Saturday, Dec. 2nd, in Dundalk. May he rest in peace. Rath Dé air! – may the blessing of God be with him. ← Death of Fr. Pat Reynolds, C.Ss.R.